Through the years, my wife Kathy and I have collected a number of paintings and sculptures from artist friends. 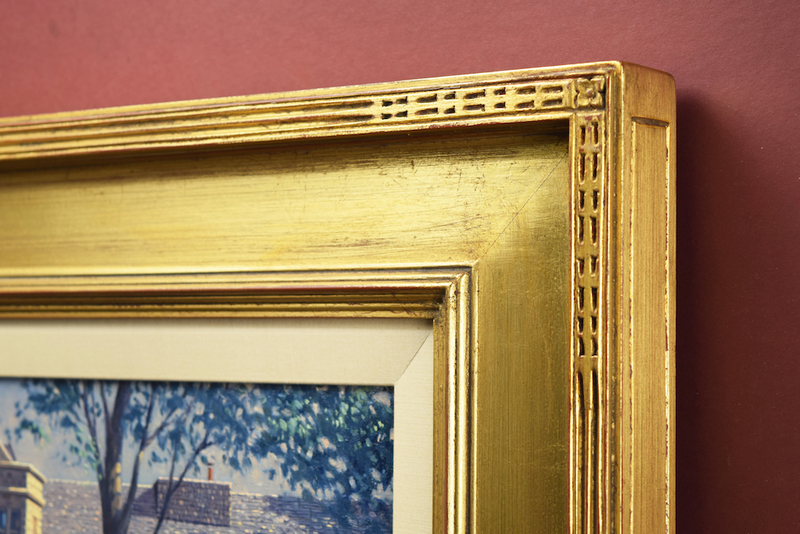 We’ve lived with and enjoyed these pieces in our home as well as some of my own works. 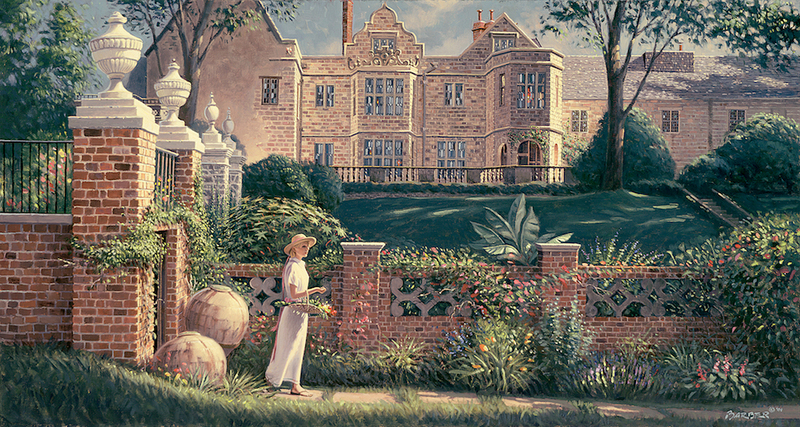 In 2001 I did this oil painting entitled “In the Garden” and it was one of my series of Richmond paintings that were published as limited edition prints. 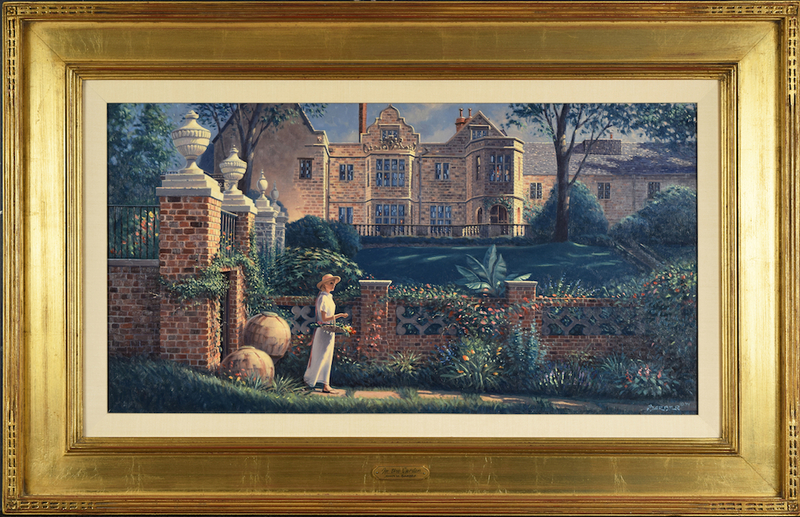 The scene takes place in the Gillette designed garden of Virginia House, located in the Windsor Farms area of Richmond, Virginia. This magnificent structure was a 12th- century nunnery from Warwick, England that was purchased by Ambassador Alexander Weddell and his wife Virginia. They had the building dismantled, transported by ship and rebuilt on the James River in Richmond beginning in 1925. This painting has hung in our dining room for years and we are now offering it for sale in order to make way for our most recent acquisition. I welcome your inquiry and will arrange a personal viewing in the Richmond area or will discuss shipping on approval outside the area. Today Virginia House is owned and operated by the Virginia Historical Society. Visit their website for more information on the building and Gillette gardens. Oil on Linen Art 15″ x 28″ Overall Framed 24″ x 37″. 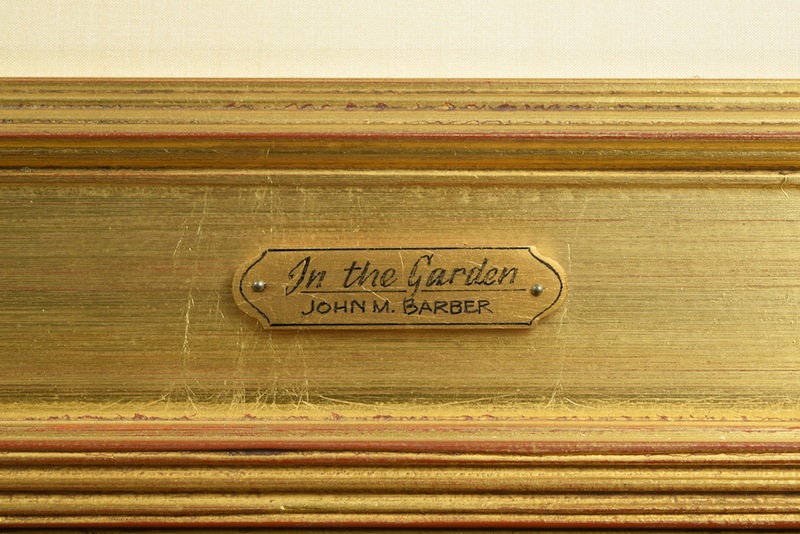 The buyer of this painting will receive five complimentary limited edition prints of “In the Garden,” published in 2001.